BELMAR, New Jersey (WABC) -- A former classmate has pleaded guilty in the death of a 19-year-old New Jersey woman and will testify against another friend accused of murdering her. Monmouth County prosecutors say 19-year-old Preston Taylor pleaded guilty Monday to robbery, conspiracy, disturbing or desecrating human remains, hindering apprehension and tampering with physical evidence. The Neptune City man faces up to 20 years in prison when he's sentenced July 21. 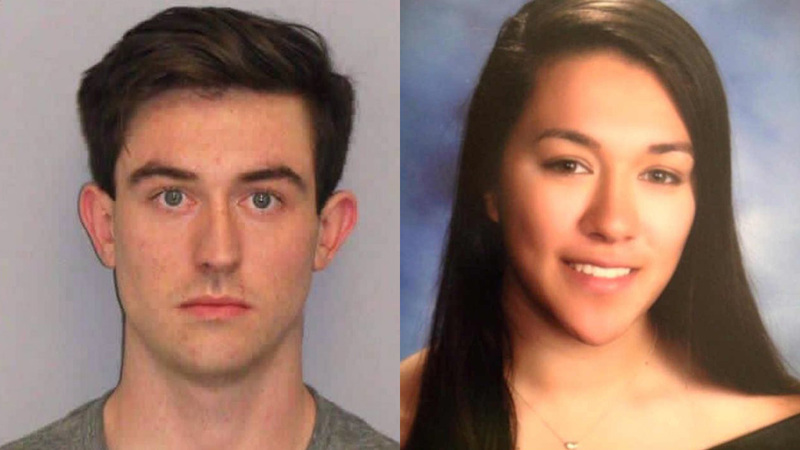 He also will testify against Liam McAtasney, who is accused of killing 19-year-old Sarah Stern and recruiting Taylor to dump her body. The men were longtime friends of Stern's, and Taylor was her junior prom date. Stern was last seen alive on December 2, when authorities say she was strangled in her home and her body was thrown into a river. Her remains have not been recovered. McAtasney's attorney has said his client is innocent, though prosecutors alleged a slew of disturbing details at his most recent court appearance. Stern's car was found with the keys still in the ignition, but repeated searches of the Shark River Inlet have found nothing. McAtasney sat shackled in the jury box during the hearing, as assistant prosecutor Meghan Doyle laid out why he should not be offered bail. Prosecutors told the judge that McAtasney, of Neptune City, was caught on videotape saying he strangled Stern with such force that he lifted her off the ground and watched for 30 minutes as she died in her home. They said he gave the description to Taylor, who secretly videotaped their meeting. Prosecutors allege that McAtasney killed Stern in her Neptune City home and robbed her of thousands of dollars, then employed Taylor to help put her body in her car before driving to the bridge. Both defendants were among the nearly 100 people who volunteered to help search for Stern after her car was found. Anyone with further information about the case is asked to call (800) 533-7443, (732) 775-1615, or (732) 681-1700.